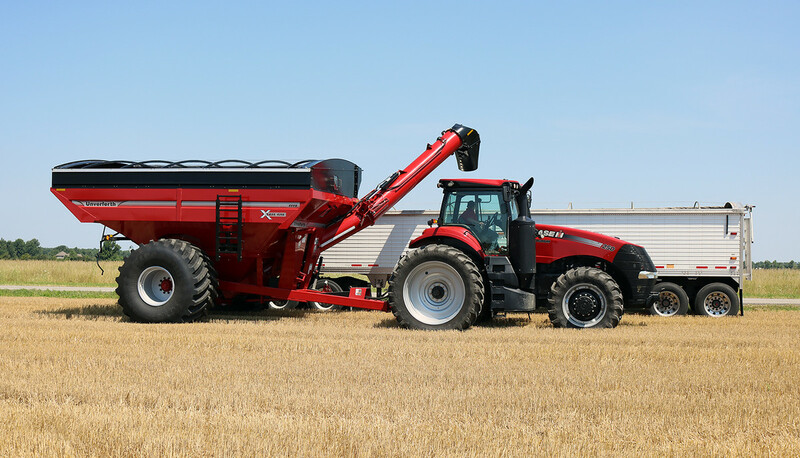 Take your harvest to the Extreme with the all-new 19-Series XTREME grain cart from Unverferth. 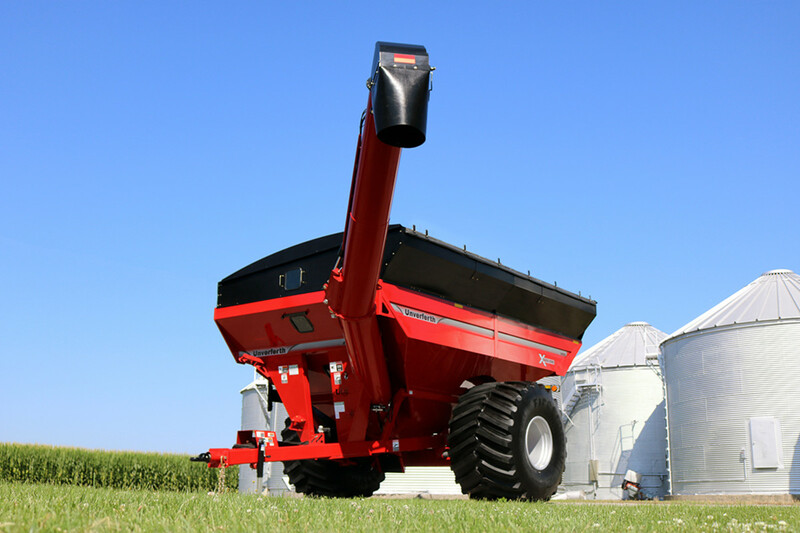 Featuring an exclusive front-folding, single corner-auger with a forward reaching design, the 19-Series lineup of grain carts positions the downspout up to 6' ahead of the hitch for an enhanced line of sight from the tractor cab. 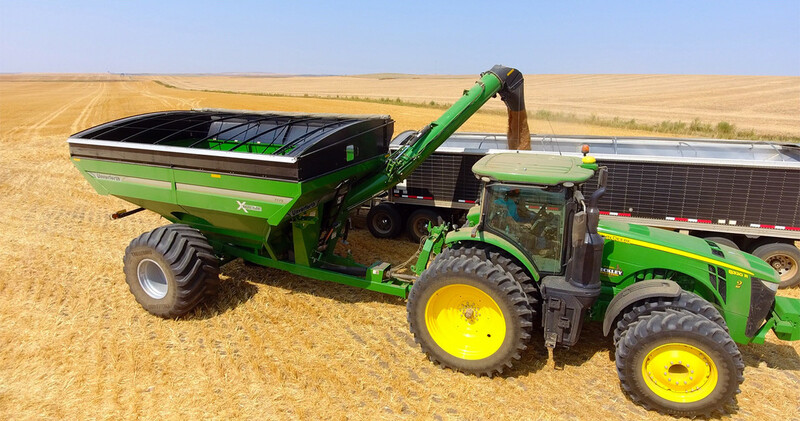 The upper auger folds diagonally across the front of the grain cart, permitting a longer upper auger which increases side reach and height. 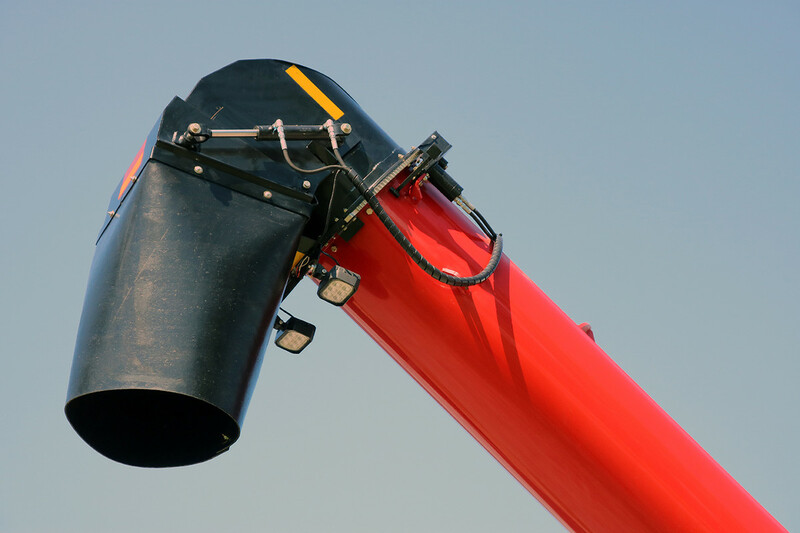 The all-new four-way downspout features an increased range of motion for added operator convenience. 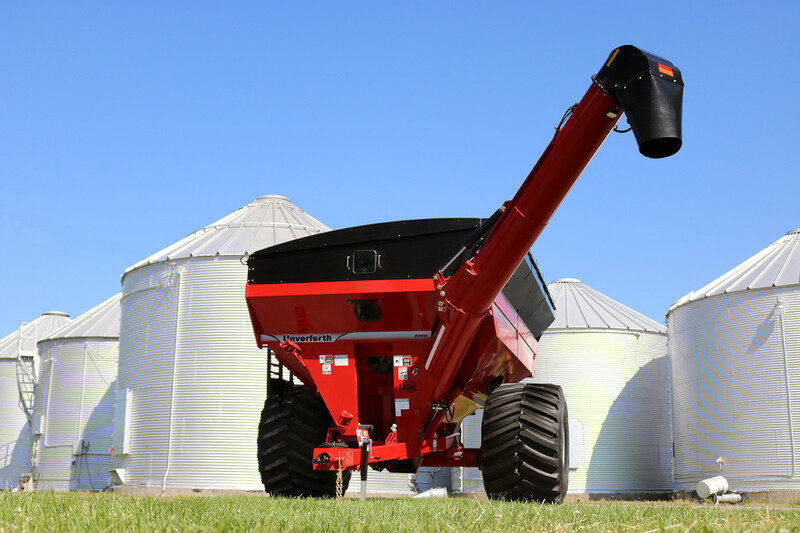 Available in 1330, 1100 and 1000 bushel carrying capacities with unloading speeds up to 650 bushels per minute! 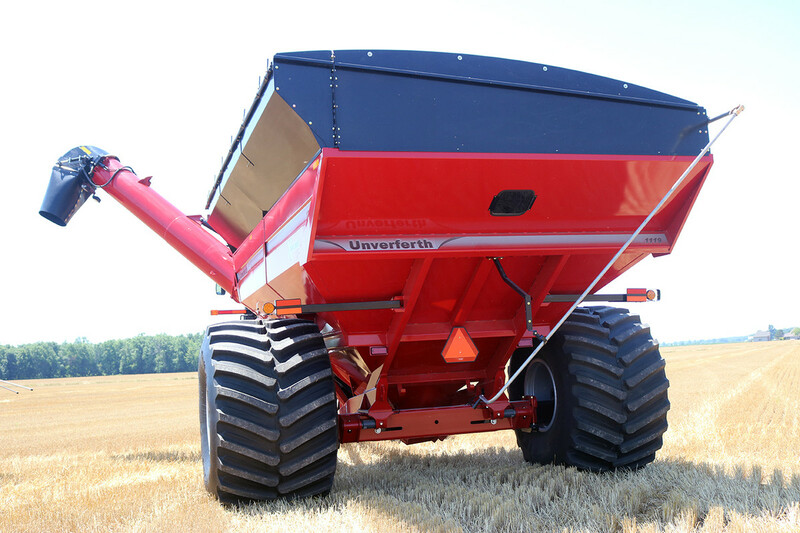 The Unverferth 19-Series XTREME grain cart features an innovative design that increases operator comfort, improves unloading accuracy and will make your harvest more efficient. 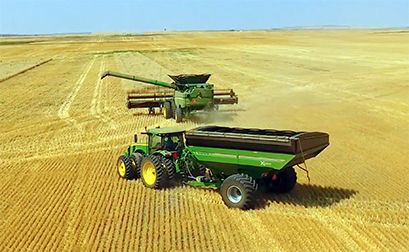 The 19-Series XTREME grain carts can truly take your harvest to the extreme! 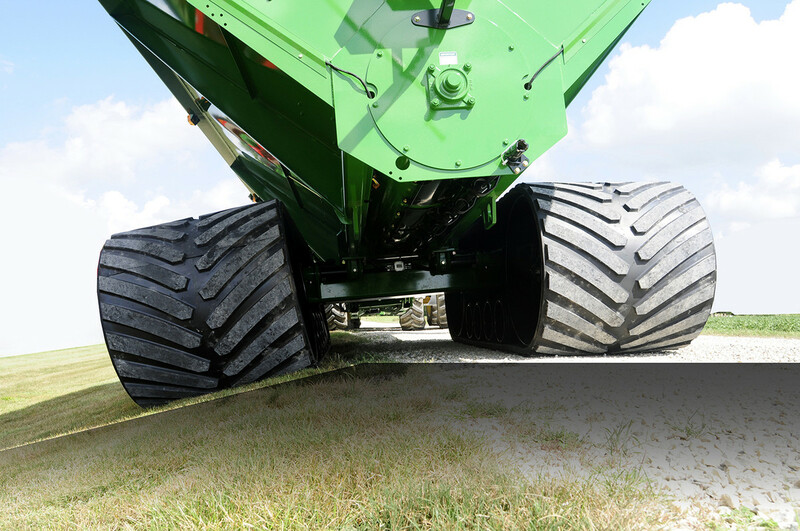 1250/50x32 radial tires, 1050/50x32 radial tires, 900/60x32 or 900/65x32 radial tires. 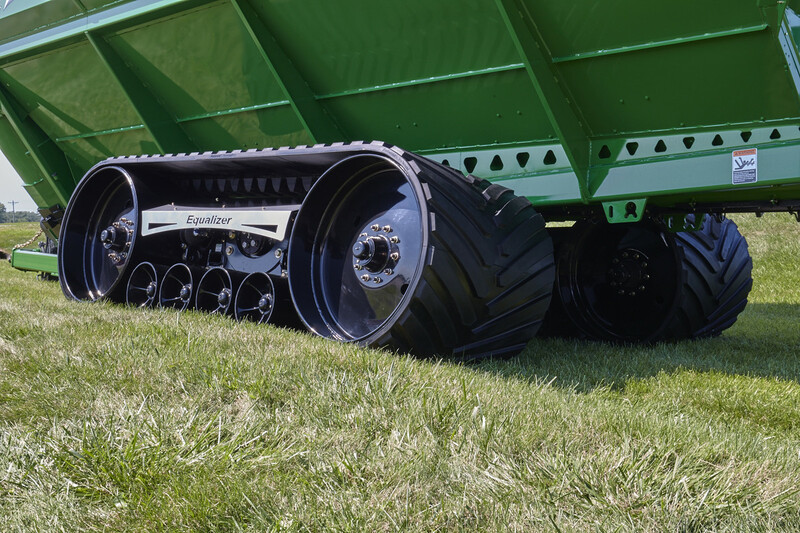 Patented design features 8° of side-to-side camber and 20° of front-to-back pivot with independent movement of each track to provide uniform ground contact on uneven terrain. 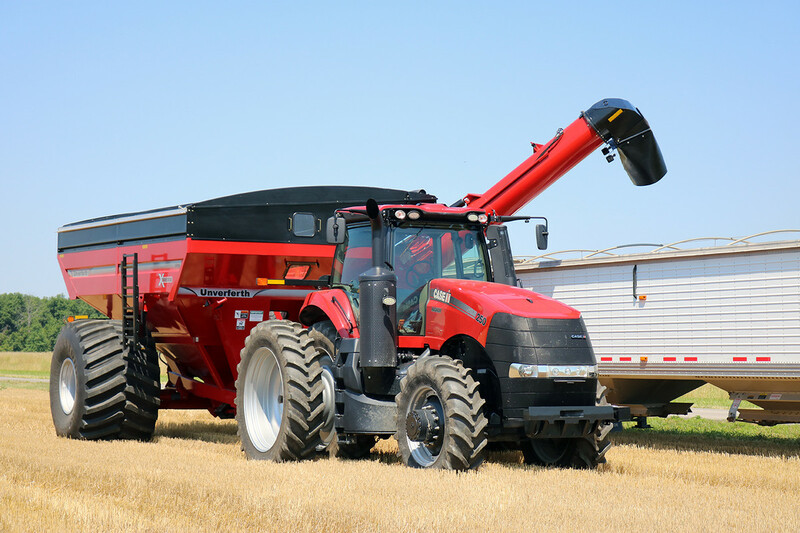 Exclusive rubber belt construction molds the tread, guide lugs and belt together as one piece, which increases durability and eliminates the need for glued on components. 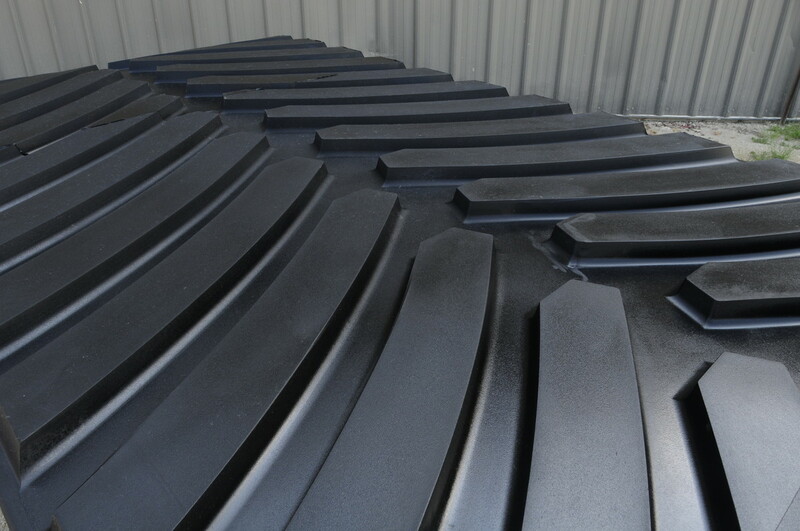 Cast, pivoting mid-rollers are on the same plane as the main end-wheels for optimum flotation and reduced stress on the belt. 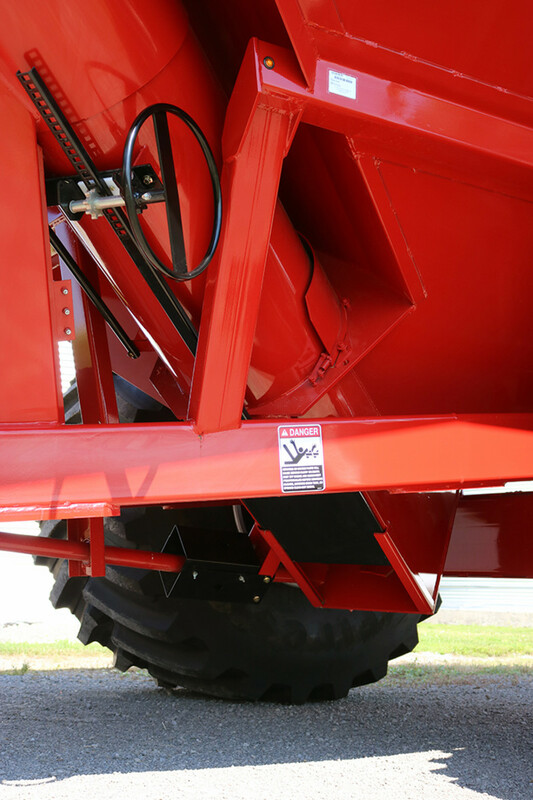 Shallow tread belt design provides greater flotation and traction. 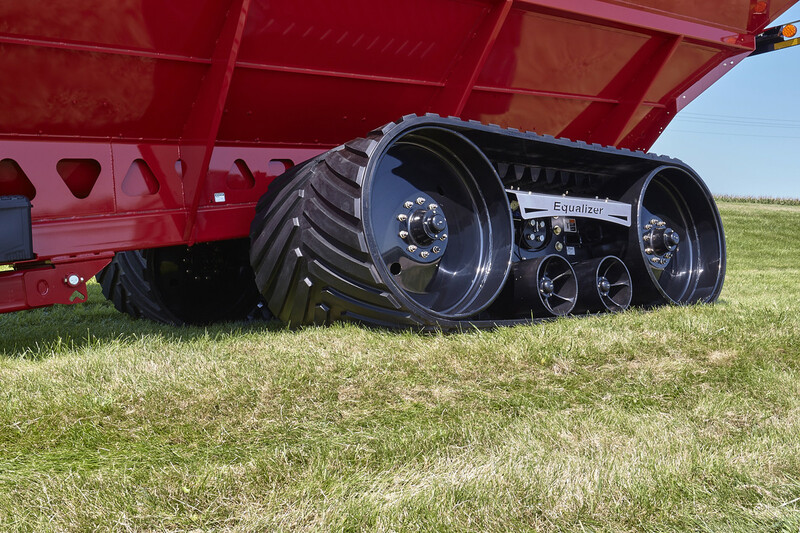 40" main end-wheels feature 10-bolt hubs that are greaseable with triple-lip seals and a steel guard for optimum lubrication. 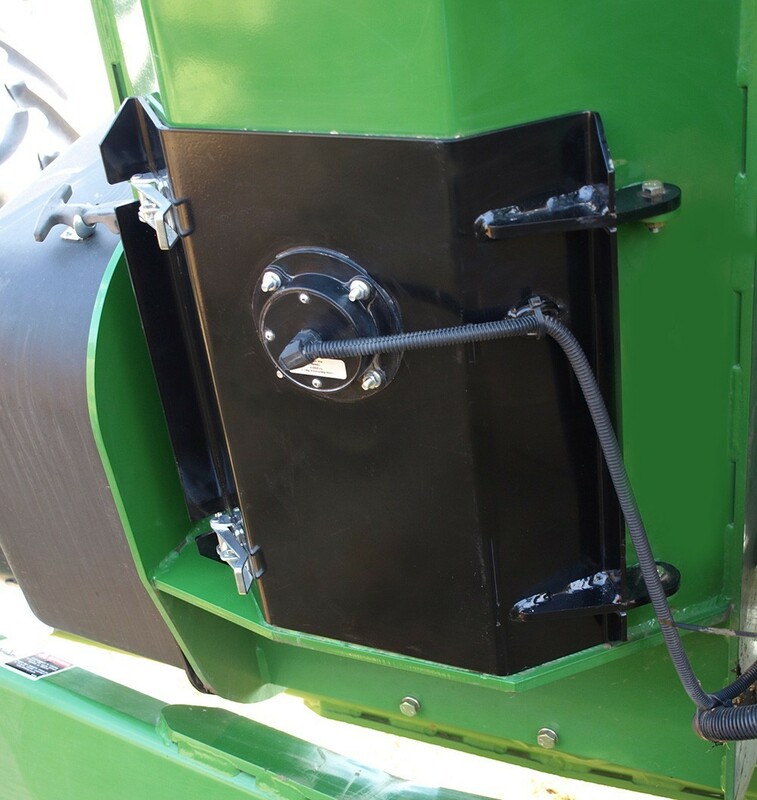 Greaseable hubs ensure the operator can push out any dirt and debris from the hub, increasing life and eliminating down time. 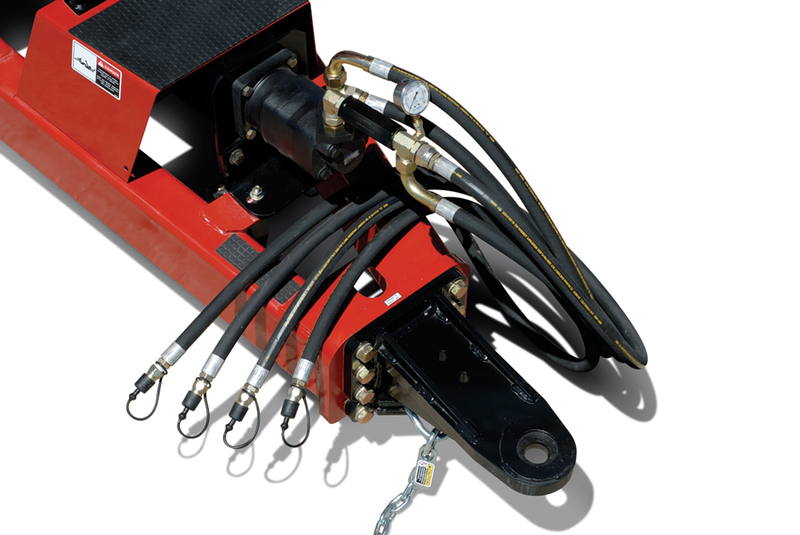 Hydraulic belt tensioning adjustment for easier track alignment, optimum ground contact and even weight distribution. 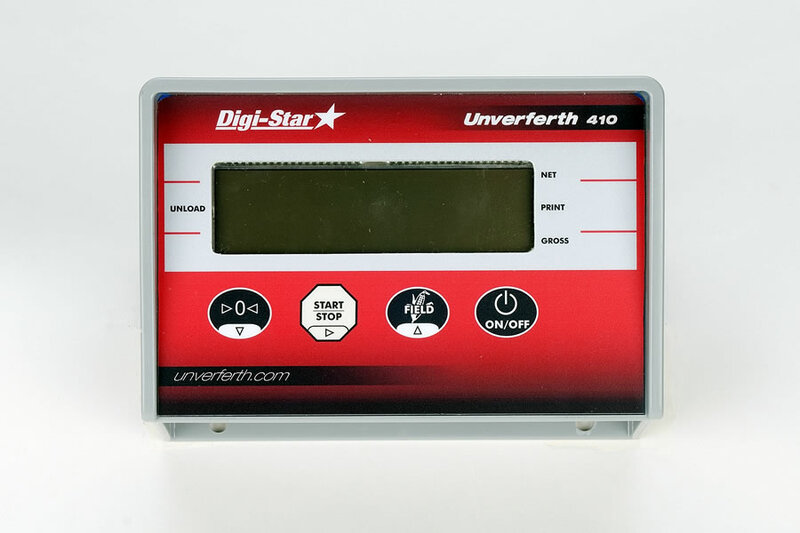 Conveniently located PSI gauge allows the operator to easily check pressure, ensuring the proper tension is being applied to the belt. 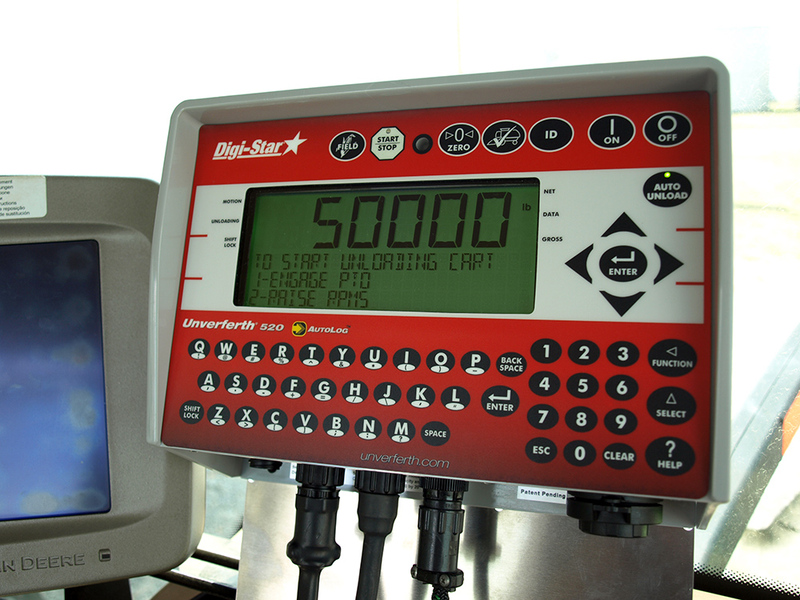 Standard auto-greaser system for automatic application at more frequent intervals for consistent lubrication. 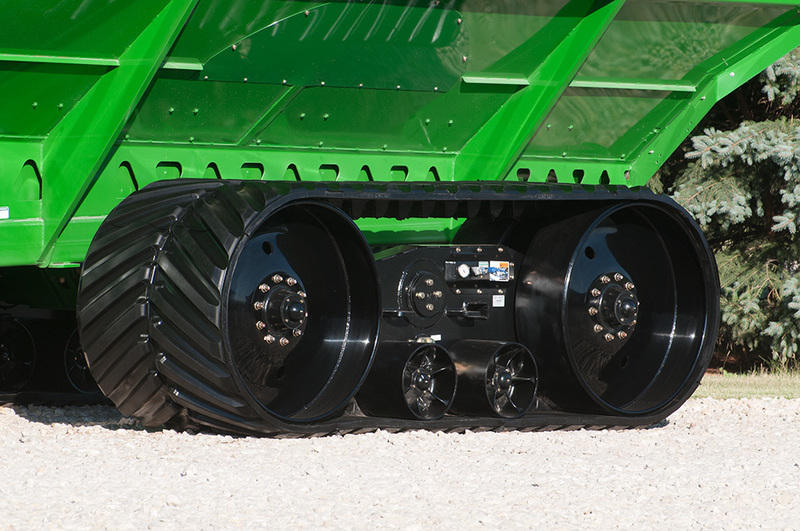 36" wide track belt with 75” of ground contact length and a 2-bogie design available on model 1019. 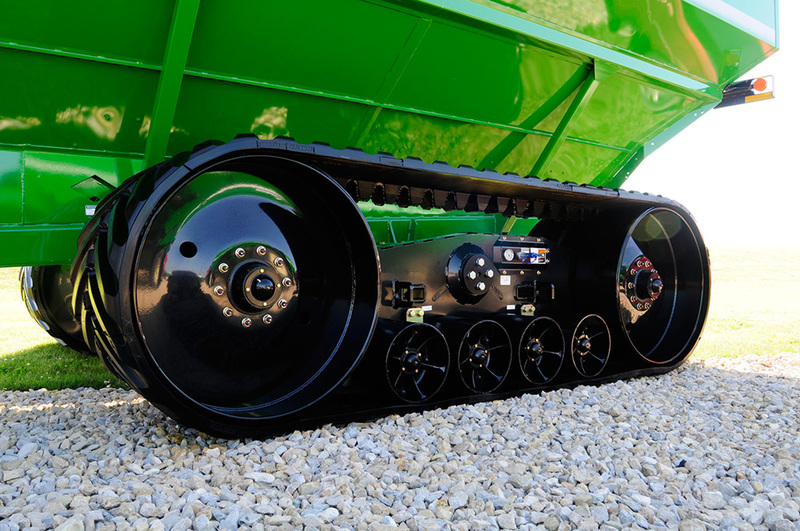 32" main end-wheels feature 8-bolt hubs that are greaseable with triple-lip seals and a steel guard for optimum lubrication. 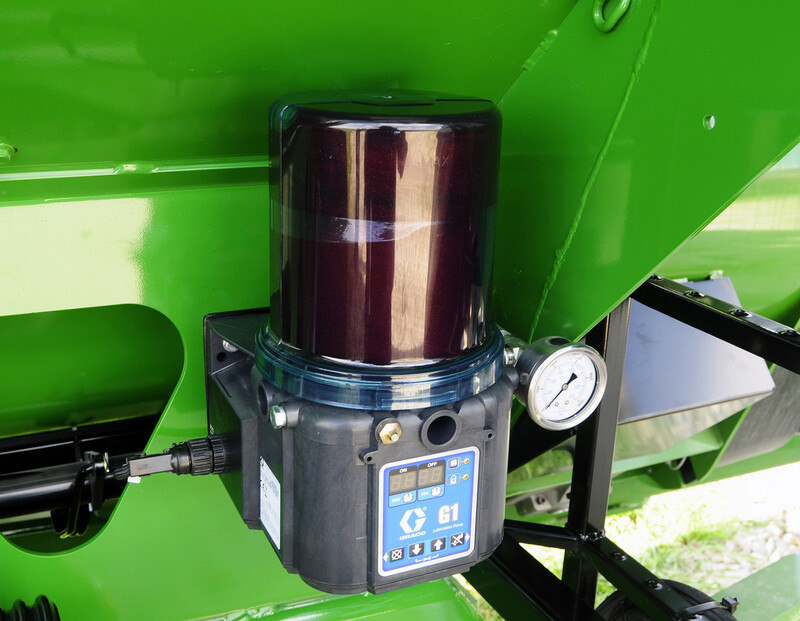 Spring mechanism belt tensioning adjusts the tension based on the cart load for even weight distribution. 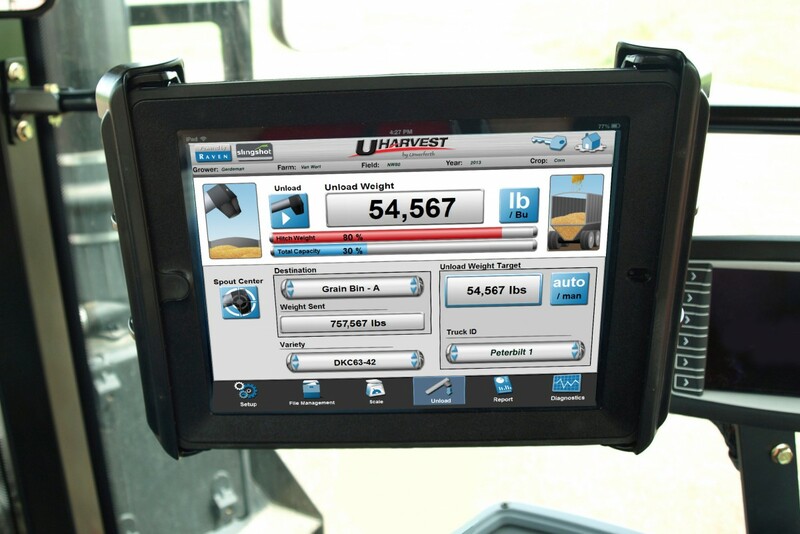 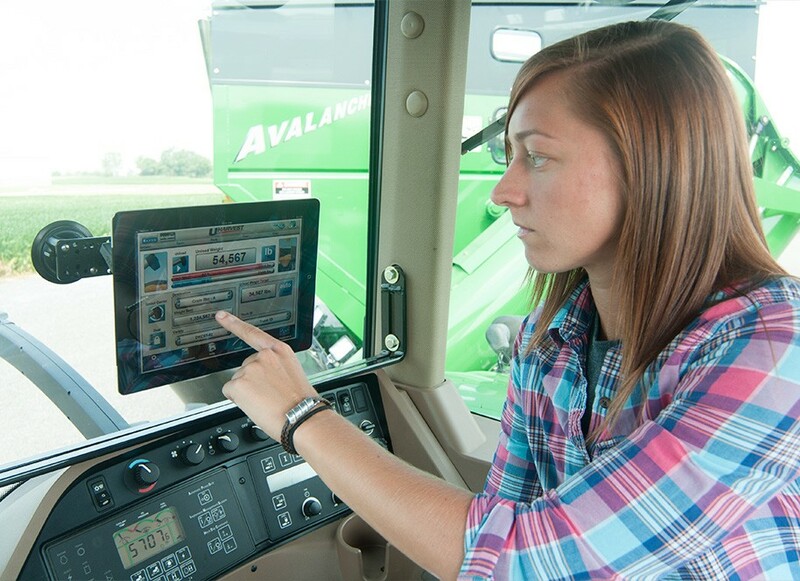 A complete harvest data management solution, UHarvest is the first ever system offered on either a tablet or ISO screen for a complete touchscreen interface that's easy to use for anyone in your operation! 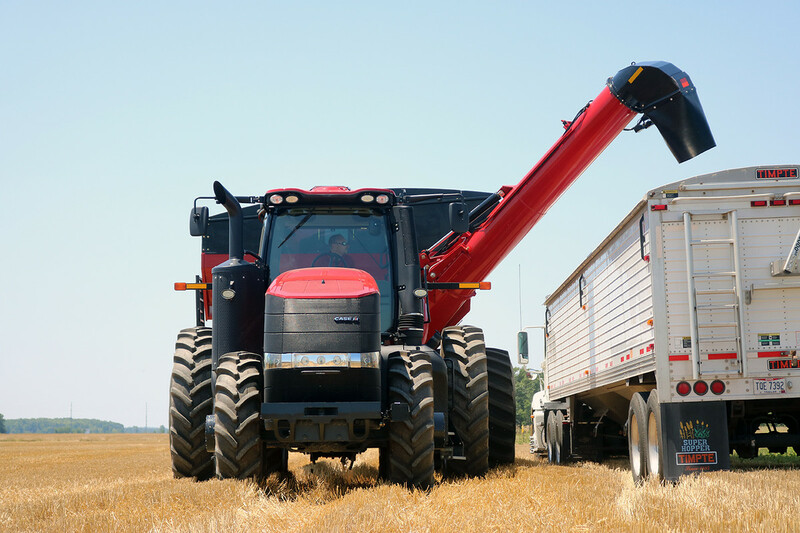 With UHarvest Data Management, not only can you record your grain cart load weights, you can track every detail regarding your crops, trucks, destinations and even DRY bushel count. 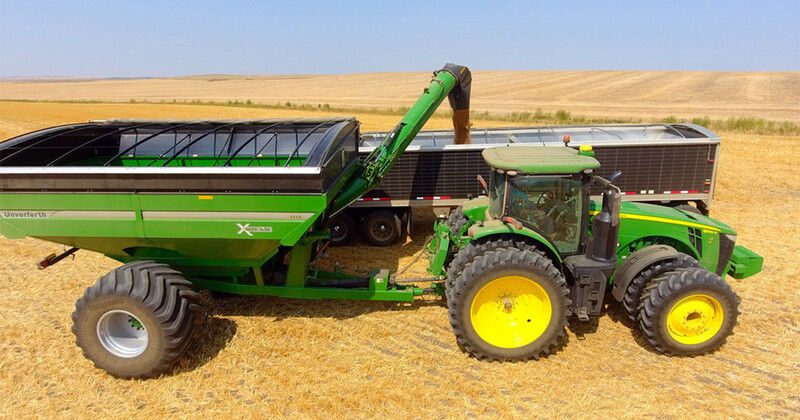 The UHarvest Lite scale system offers complete ISOBUS grain cart scale operation for quick, convenient and accurate field weighing capability. 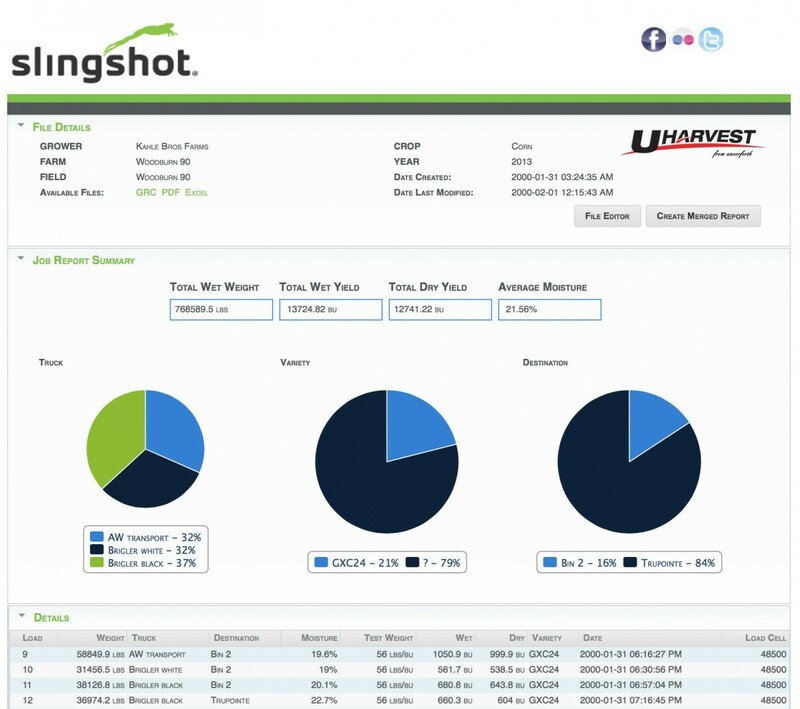 Visit uharvest.net for complete information pertaining the UHarvest system. 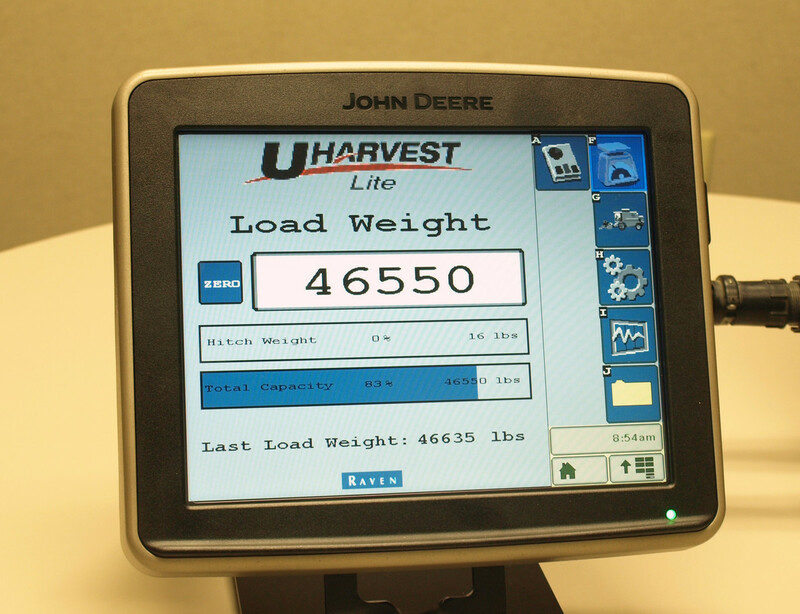 ​UHarvest Data Management and UHarvest Lite scales systems. 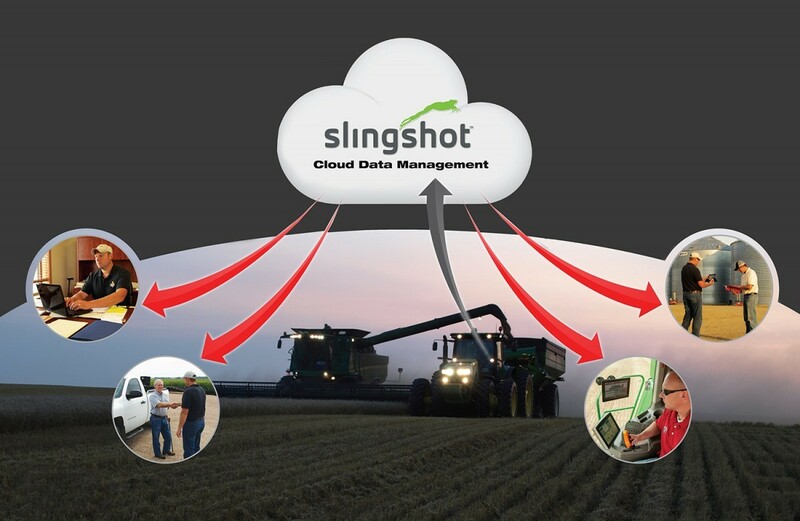 Finally, a complete harvest data solution! 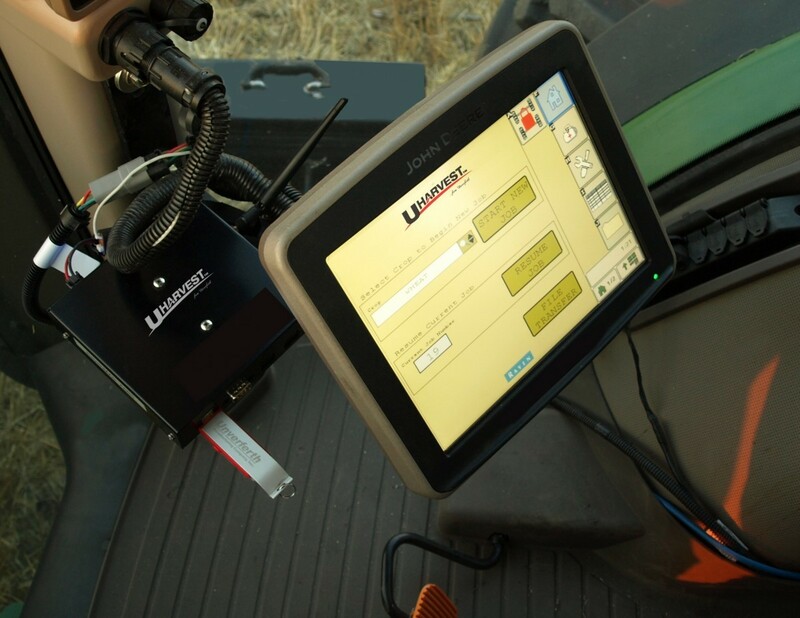 Features auto-log and the patent-pending start/stop button for ease of use. 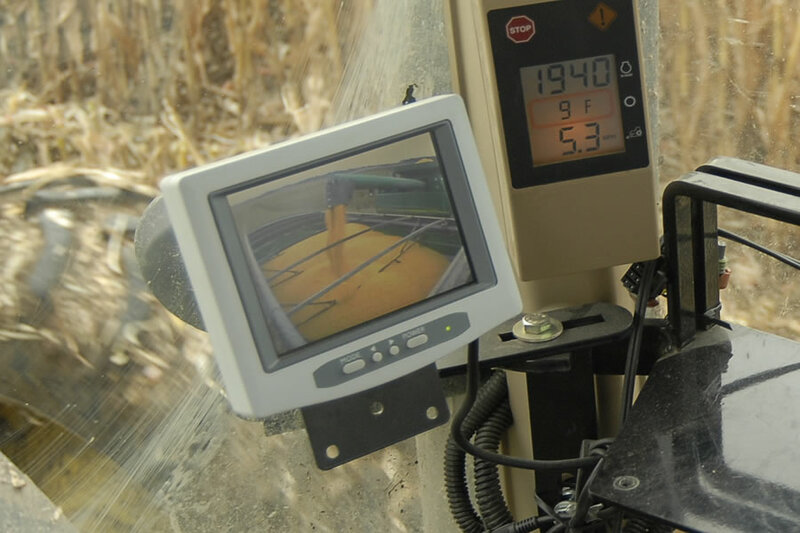 *Capacities measured with #2 corn at 15% moisture, 56# test weight. 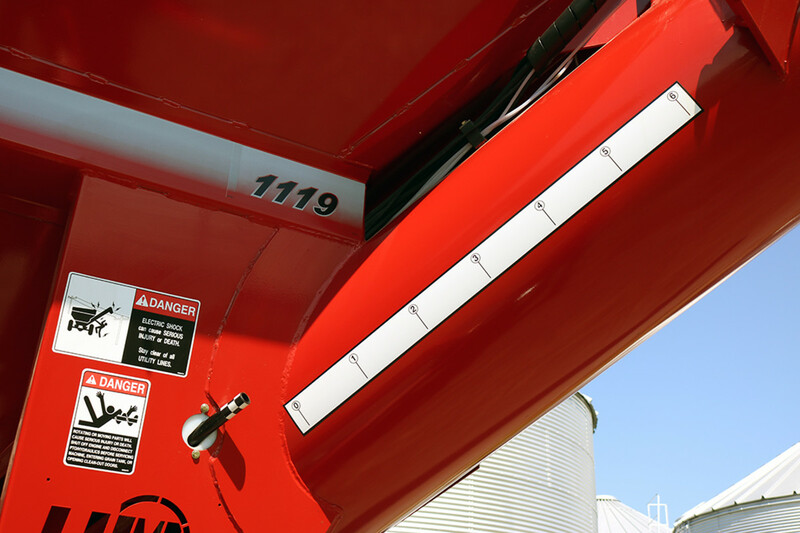 Auger Diameter 21" into 20" 21" into 20" 21" into 20" 21" into 20"
Flighting Thickness 7/16" 7/16" 7/16" 7/16"
Hube Size/Spindle Diameter - 12-bolt/6" 10-bolt/4.5" 10-bolt/4.5"
Hopper Width 13' 8" 13' 8" 13' 11' 10"
9' 9" 9' 9" 7' 10" 7' 10"
Auger Side Reach Min 8' 4" 8' 4" 6' 7" 6' 7"
Hitch to Spout when Straight Down (forward reach) 1' 2" 1' 2" 1' 5" 1' 5"
Overall Transport Length 31' 3" 31' 3" 26' 10" 26' 10"
Hitch to Center of Axle 18' 6" 18' 6" 16' 8" 16' 8"
Hitch Height - 1' 8" 1' 8" 1' 8"
Auger Height with Spout Straight Down - 12' 9" 12' 3" 12' 3"
Width Outside of Tires - 15' 3" 16' 5" 16' 5"
Center of Tire to Center of Tire - 11' 12' 3" 12' 3"
Under Frame Height - 1' 4" 1' 5" 1' 5"
Hitch Height 1' 10" 1' 10" 1' 8" 1' 8"
Hopper Height Low Side 11' 5" 11' 1" 11' 5" 11' 1"
Hopper Height High Side 12' 5" 12' 1" 12' 5" 12' 1"
Auger Height with Spout Straight Down 12' 9" 12' 9" 12' 5" 12' 5"
Height to Top of Auger in Unload Position 17' 8" 17' 8" 17' 1" 17' 1"
Width Outside of Tracks 13' 11" 13' 11" 13' 2" 11' 10"
Center of Track to Center of Track 10' 5" 10' 5" 9' 8" 9' 8"
Under Frame Height 1' 3" 1' 3" 1' 5" 1' 5"
Loaded Tire Ground Pressure - P.S.I. 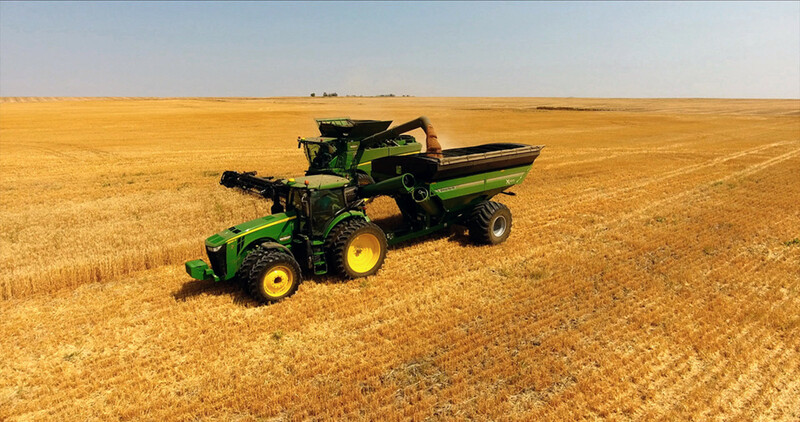 calculated at the 3" penetration level.